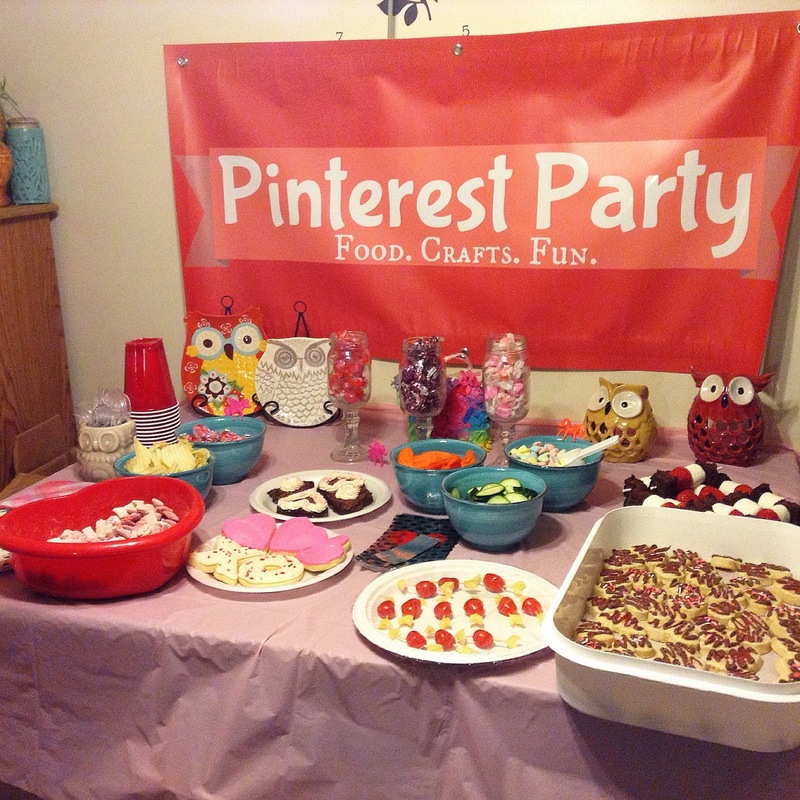 It's time for another Pinterest party and this one was Valentine themed! Huge thanks to my sister Laura who helped me make these fun kabobs. (Inspiration found here.) I love food on a stick! This was just a brownie mix cut into squares (use a plastic knife! 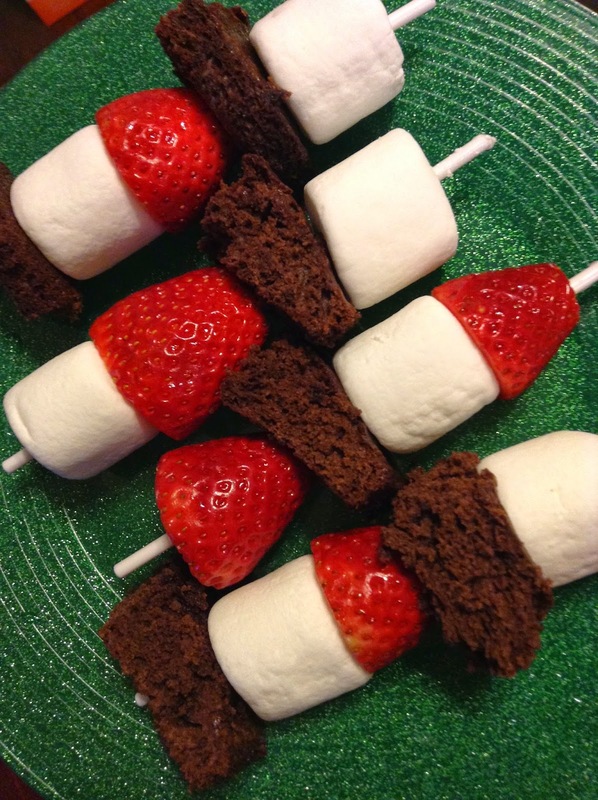 ), large marshmallows and strawberries with the tips cut off. Slide them on to a kabob stick and you are done. I love easy treats. 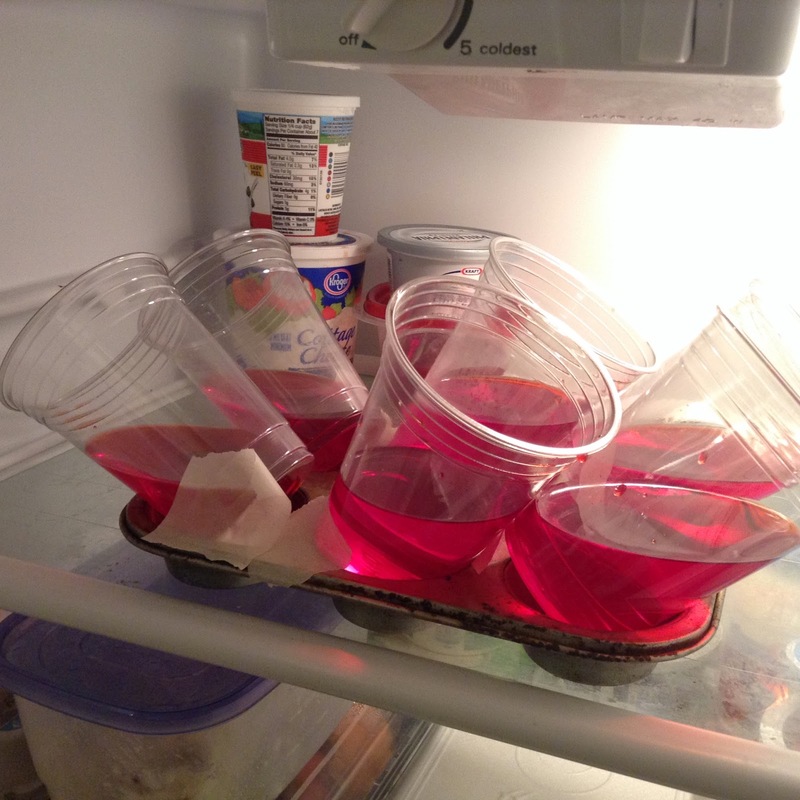 To make this jello, (inspiration found here) you have to tip the cup on its side almost and a muffin tin is great for doing this. Plus a little bit of tape and a super steady hand! 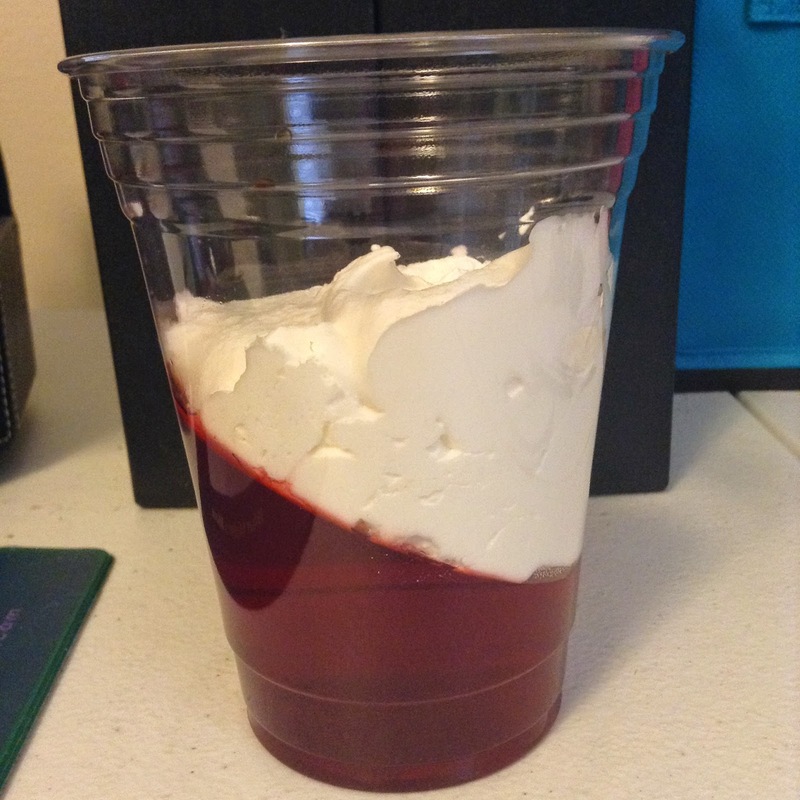 You can put sliced strawberries on top of the jello or whipped cream but I skipped that this time because I used the strawberries for the kabobs instead. 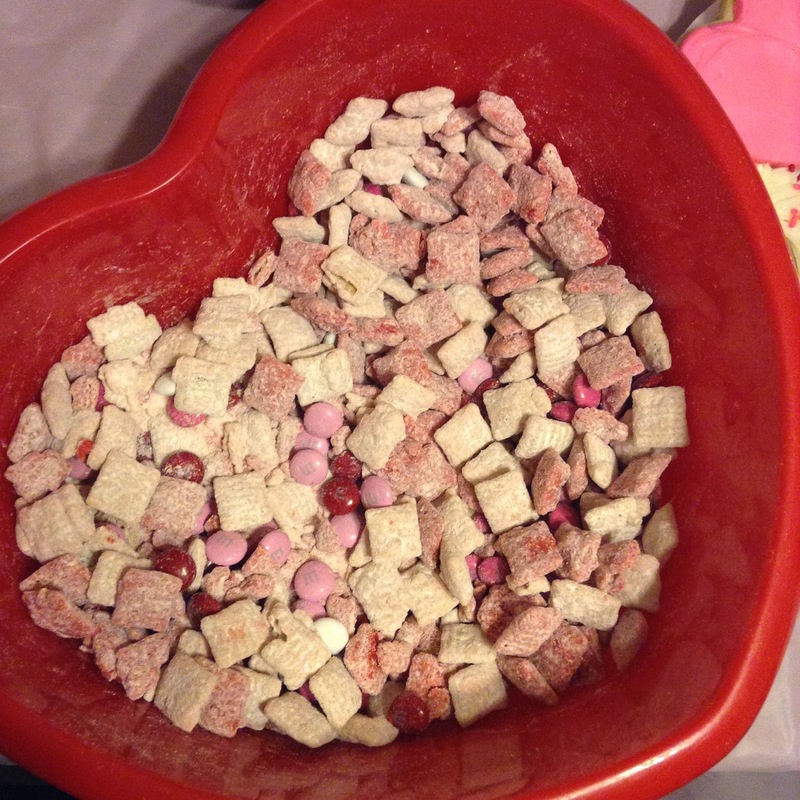 Diana brought this Red Velvet Puppy Chow. I am not a huge fan of the red velvet taste but I actually liked this pretty well! Frieda brought her amazing sugar cookies. I love how she decorates them & how soft they are! 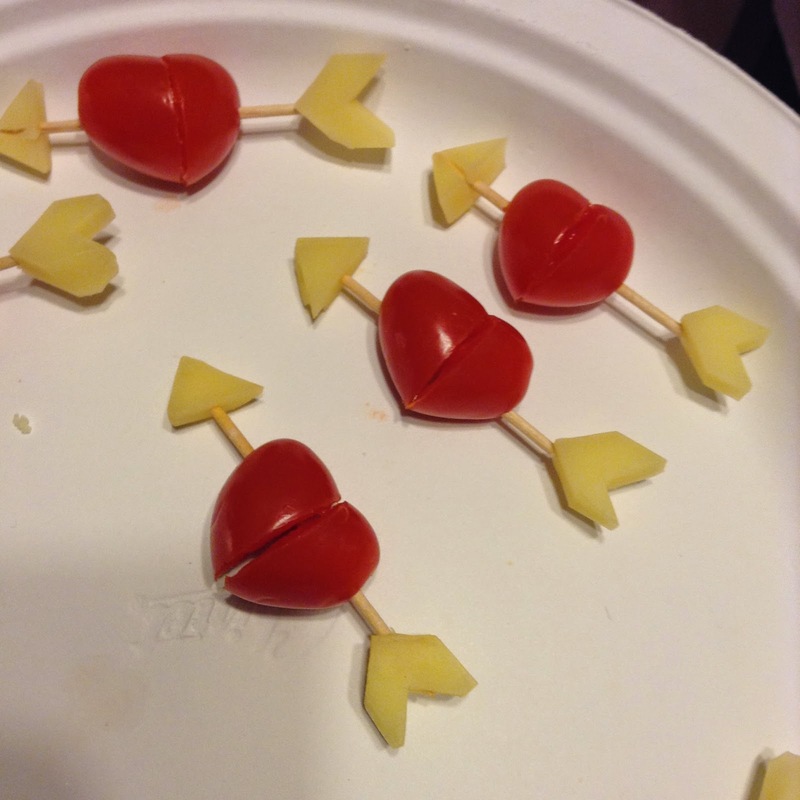 She also brought these healthy Cupid's Arrow Appetizer. I think they turned out way cute and they were so delicious, a nice break from all the sugar! 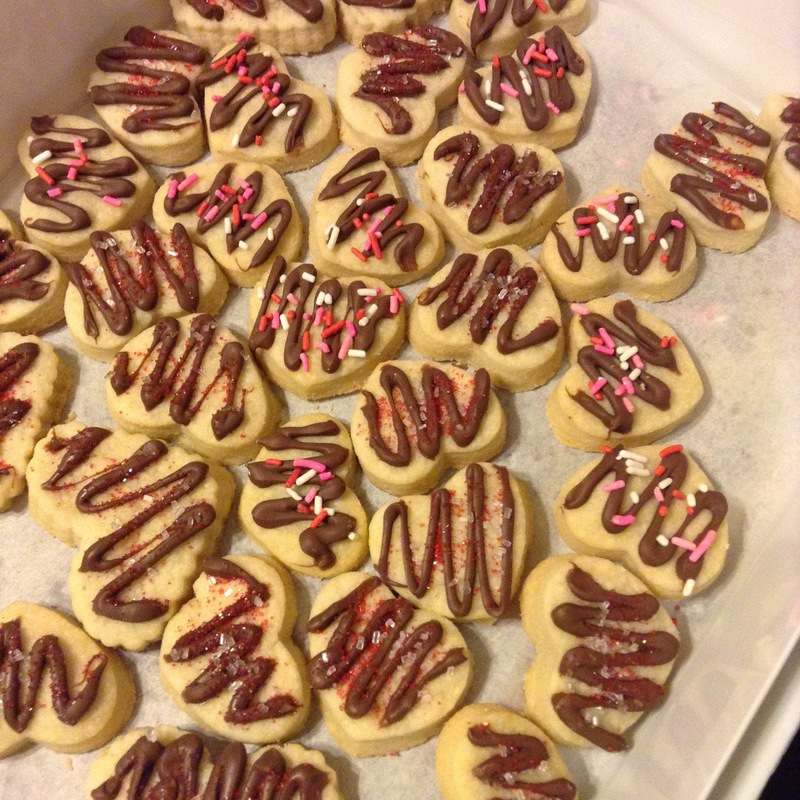 Diana's friend Melissa brought these little shortbread cookies in the shape of hearts, topped with chocolate and sprinkles. They melted in my mouth and I had to have more than one. Now on to the crafts! 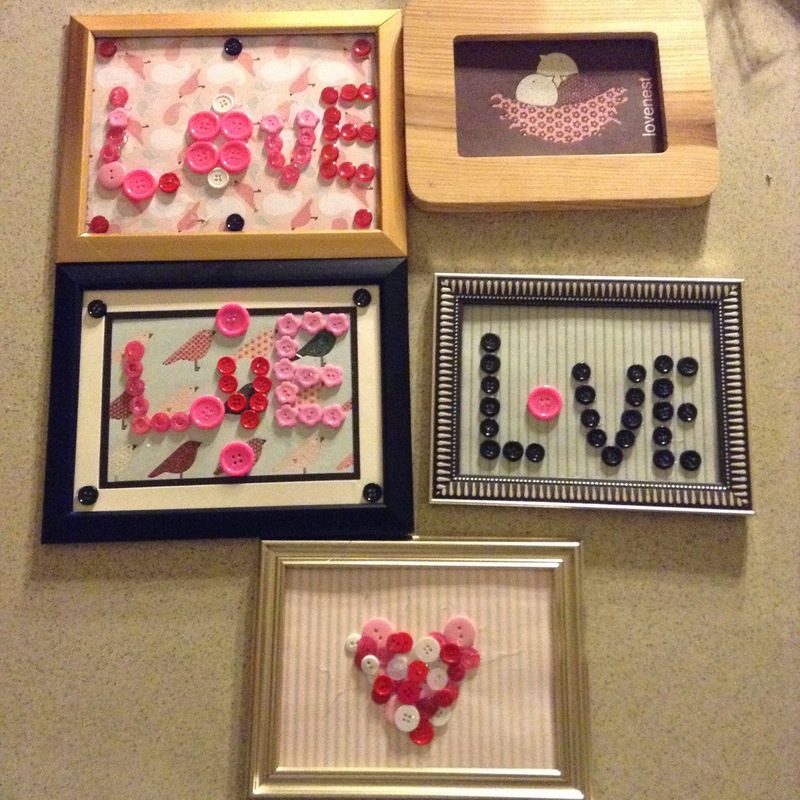 Melissa brought some Valentine ideas and they are all free printables you can find online. I love the use of the light bulb filled with candy. You can get these containers at Hobby Lobby. 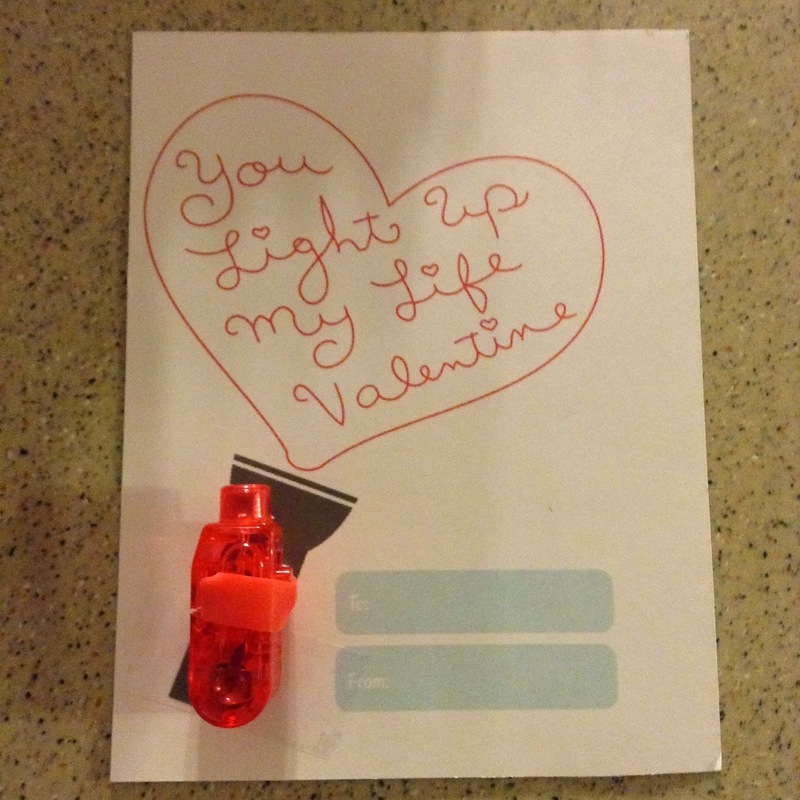 Another way to use the Valentine printable...the finger lights can be found at Walmart or any party store. You can also buy them online in bulk. 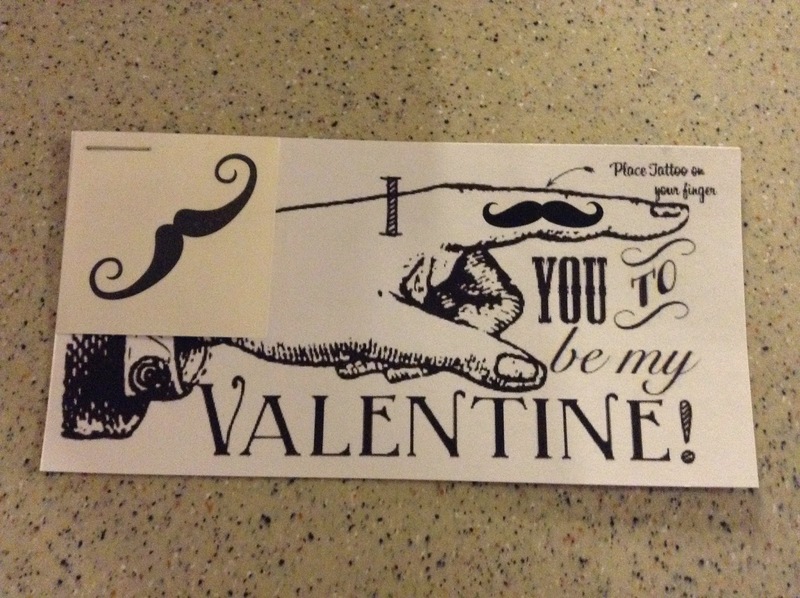 Mustache tattoo Valentines that you can print yourself! These bubbles are fun and can be cheap. You can find them in the wedding aisle or at party stores. 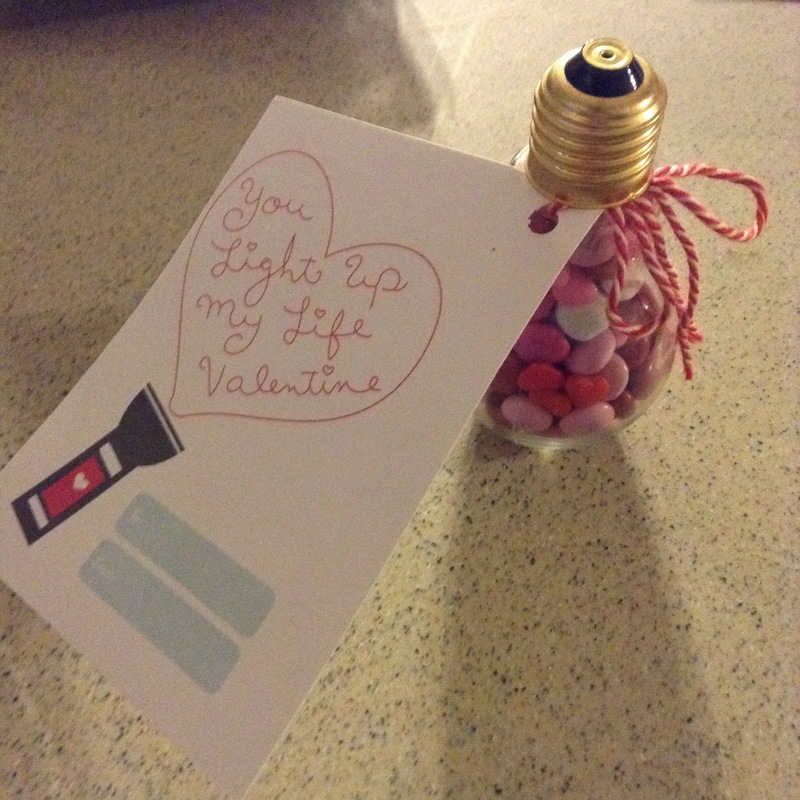 This Valentine turned out super cute! 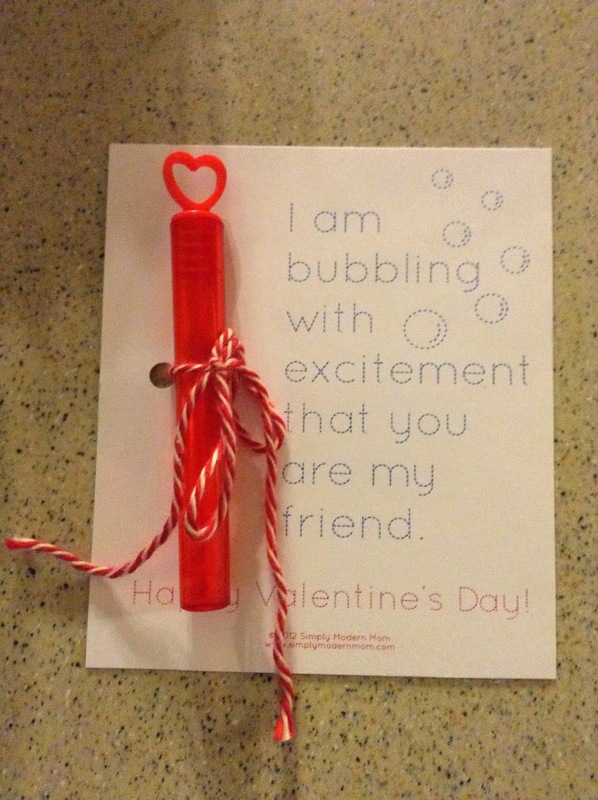 Diana and her two girls brought these bookmarks, this is what her girls are giving to their classes for Valentines Day. 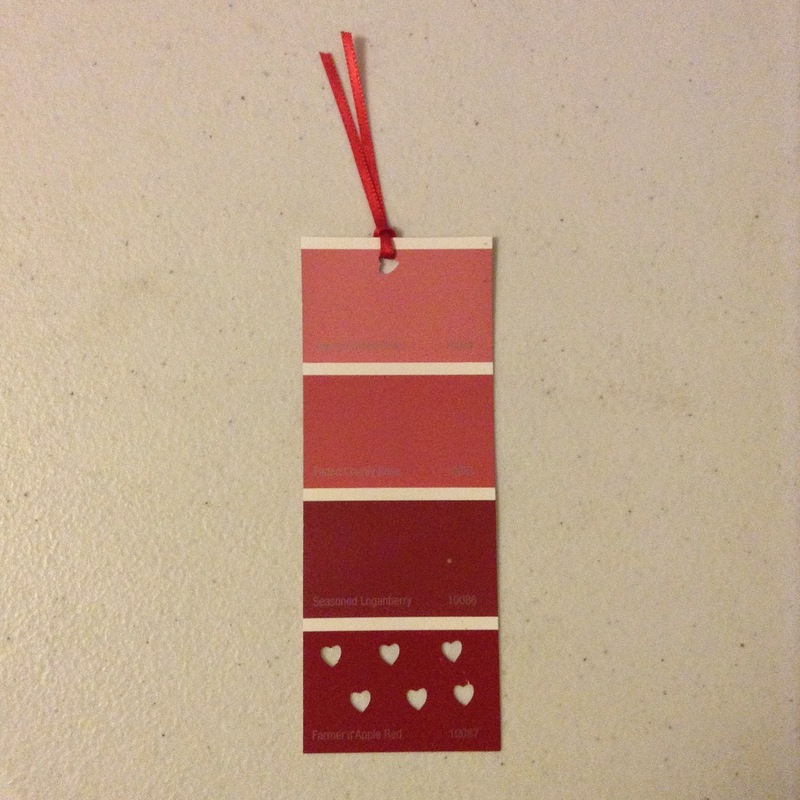 Any store that carries paint has these sample cards and you can grab a bunch, trim them to the length you want and use a heart punch to decorate it. Tie a bit of ribbon tassle for the top and the project is complete. This was my project! I found the frames at DI (thrift store) and The Dollar Tree. I love how different everyone's turned out. Inspiration found here. 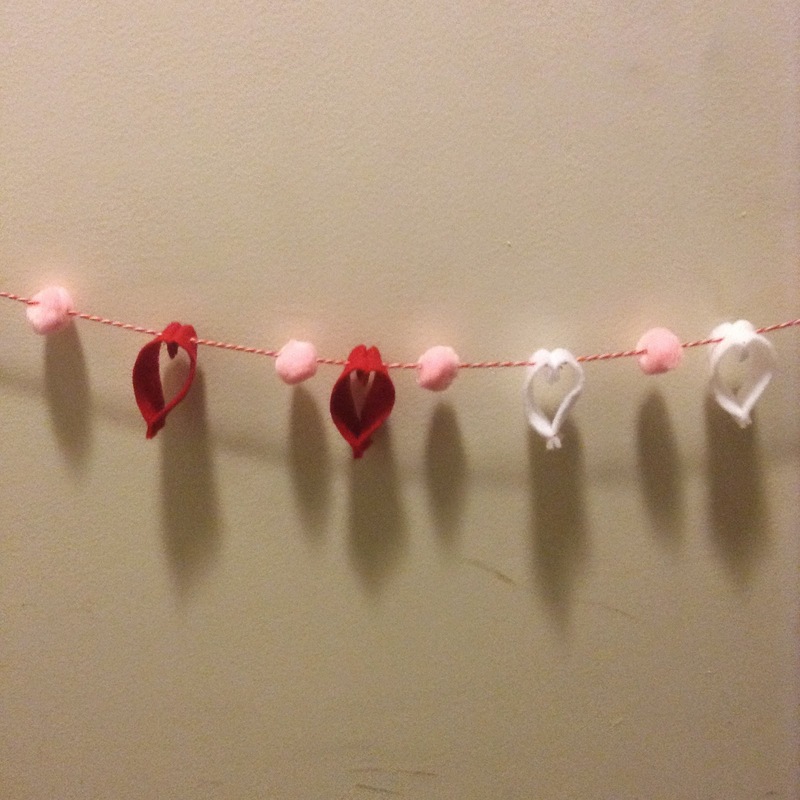 Melissa brought everything set up and ready to make this super cute Valentine Heart Chain. I love how mine turned out! I am so happy that people came and we could make a lot of fun projects! 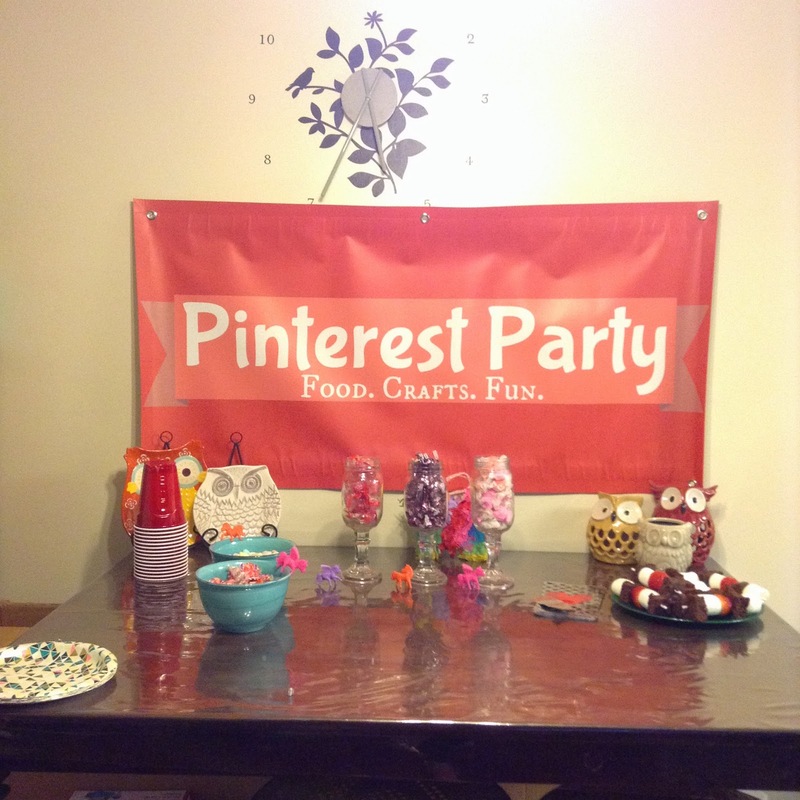 Next Pinterest party will be late April/early May and the theme will be spring crafts and treats so start getting ready and thinking of a yummy food or craft you can bring! How fun is this! I am on the phone with my friend and I think we are planning a pinterest party soon! Thanks for the idea! Such cute ideas! Some of them will be perfect for my Girl Scout party next week. SO fun and such adorable ideas!! This looks like so much fun! I'm sad I missed it :( Next time though I'm totally down! 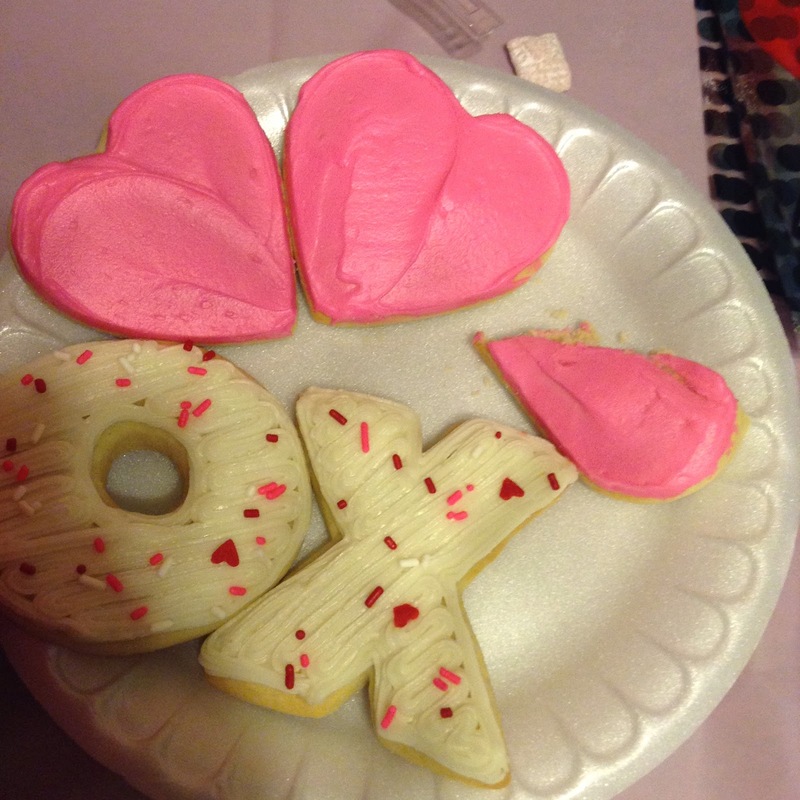 I love Valentine cookies and treats so much. This looks so much fun!